In her book “Beautiful Battlefields” Bo Stern, a teaching pastor at Westside Church in Bend, Oregon, relates how broken and sobbing she cried out to God looking for His love on the day following the news that Steve, her 45 year old husband, was diagnosed with Lou Gehrig’s disease. This is their story of an unexpected journey, of discover in the battleground, and the strategies they discovered for facing each new trial. Bo writes for people that are facing illness, loss, or loneliness; for anyone asking the question, “Why did you let this happen to me, God? Or, for the one asking, “How can I turn this trial (battle) into something positive?” Bo is a gifted communicator; she helps the reader develop God sized faith to meet the size of their battle. Thoughtful and practical thoughts “Worth Pondering” are included in each chapter for reflection or discussion. These profound concepts lead to meaningful suggestion for action steps “Worth Doing” while finding God’s love in the midst of personal trials. 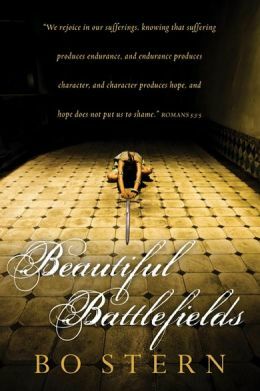 Rich in scriptural truth, practical insights, and heartwarming examples, “Beautiful Battlefields” is filled with encouragement, genuine concern, based on the reality of experiencing God through personal battles of suffering and uncertainty. A complimentary copy of this book was provided for review purposes. The expressions expressed are my own. In her book “Beautiful Battlefields” Bo Stern, teaching pastor at Westside Church in Bend, Oregon, relates the following expression of extreme anxiety the day following learning that Steve, her 45 year old husband, was diagnosed with Lou Gehrig’s disease. The uncertainty of the future is something that we all face. Jesus admonished us to “Take no thought for tomorrow” and goes on to assure us of God’s care. 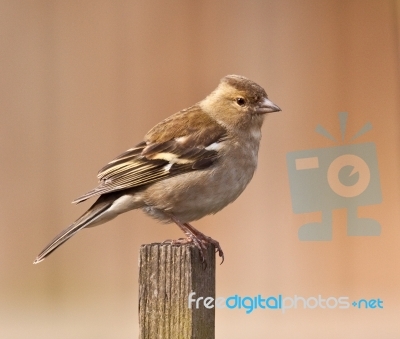 Today as I look out on the a snow covered lawn, I see two small birds feeding and another huddled in a corner on our deck, protected from the wind, fed and protected by a loving, caring, heavenly Father. This same heavenly Father that spoke to Bo Stern in Oregon, and is caring for the small birds on my deck has given me a new assurance that He wants me to trust him for my every minute of my future, one minute, hour, and day at a time. Barbara M. Schuck details the lessons she learned while traveling together with her special needs son along “Jared’s Path.” This amazing journey of love, courage, and persistence is written to “let others know what we went through, or what we are still going through” and to give others hope and encouragement in their journey as a caregiver of a child with special needs. The story opens with an account of Barbara’s pregnancy, the excitement of her son’s birth, and the medical trials that followed. Jared has experienced digestive problems, generalized seizures, respiratory distress, cerebral palsy, cataracts, atypical autism, and bone fractures, and all before he was four years old. Every child should have the chance to be happy and have the best quality of life possible. Every child needs unconditional love. I want to give others hope and encouragement and to stay on a positive path. 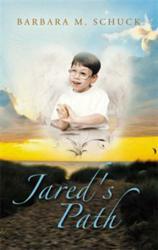 Barbara chronicles the trials and miracles of Jared’s growing up years with an open candidness that is both heartwarming and haunting. Today Jared is becoming a young man. His story is awe-inspiring and challenging a reminder to the reader that life is a precious gift. A complimentary copy of this review was provided for review purposes. The opinions expressed are my own. Let’s Eat: Maji Teaches Mongo What It Means to Eat Clean! “Let’s Eat” is the second in the Maji and Mongo Series written by Dr. J. Renae Norton, clinical psychologist and director of the Norton Center for Eating Disorders. The series is designed to provide children with an understanding of the importance of learning how to develop a healthy lifestyle. Maji and Mongo represent individuals with differing preferences. Maji helps Mongo discover healthier foods and health habits that lead to a growing up stronger. Norton uses a rhyming lyrical writing style that is a favorite of the young reader. Steve Hayes’ imaginative illustrations reinforce the message of the story as it unfolds. Children are quickly attracted to the friendliness of the Maji and Mongo characters. The valuable information and pointers for parents and sound teaching techniques resonate with parents and educators. The Maji and Mongo series is fast becoming a favorite with children and parents. In a day when childhood obesity is taking on epidemic proportions “Let’s Eat” is an important book for the Children’s section in every school and public library. The attractive illustrations, quality binding, and positive message make the book ideal for gift giving. Parents and children will both want to get all of the books in the series. Dr. Jeffrey Seif, Dr. Glenn Blank, and Paul Wilbur capture the historical background, the traditional values, and inspirational intent that transcend man’s wisdom as they point to the divine author of the scriptures through their insight in in this Tree of Life Version of the Psalms with Commentary. Their commentary is designed to help today’s reader get a fresh insight into how early Christians were drawn into worship Yeshua as the risen Lord. Modern Messianic believers in the Jewish community are given a sense of connection back to their Jewish roots in faith building through the poetic images and contemporary insight, created through the use of the pattern of parallelism used in Hebrew poetry to build up a stronger emphasis on a concept or truth. The commentators skillfully draw attention to the ebb and flow of feelings, through their insight into the Psalms, which bring life changing healing, a source of encouragement, and comfort to their analysis. “The TLV Psalms with Commentary” is a rich and important resource, opening new vistas into understanding Hebrew heritage as revealed by the Holy One of Israel, who breathed these words into the hearts of the psalmists. The unique purpose of this revolutionary new translation is to convey a world view of the Jewish Messiah and to communicate a message of being one in His love. The translation uses Jewish Messianic terms which add a new significance and understanding to the scriptures, an approach for teaching Jewish culture which will help the reader understand the significance and magnitude of the Messianic message as well as provide contemporary insights into the ancient Hebrew manuscripts. It also helps the modern-day Christian to relate to the Jewish roots of the faith and to learn more of the culture and traditions of the Jewish people. The reader will get a clearer understanding of how Yeshua’s (Jesus’) teaching is directly from the Torah. The use of Hebraic titles sets this translation apart of other popular contemporary translations available today. An impressive selection of 24 illustrations from original Jewish artwork adds another dimension and reinforces the interpretation of selected passages. Other important features include the: Hebraic glossary, Sabbath prayers, Jewish reading cycle, map of Israel, and cross referencing footnotes. The luxurious leather cover and quality paper and easy to read font add to the value of this important historic publishing accomplishment. The scholarly approach will stimulate the professional theologian and member of academia while the clarity and simplicity of the translation will make this a popular choice of the Christian layman, the Messianic Jew pursuing a study of the scriptures, and other Jews looking into Messianic teaching. A complimentary copy of this Bible was provided for review purposes. The opinions expressed are my own. Casey Cease opens his heart as he relates the story of how God transformed his life of emptiness, anxiety, dark depression, insecurity and self-centeredness to a life of faith, ordained to bring the message of God’s grace, and the redemptions available through Jesus Christ. Anger, alcohol, and angst triggered a response in Casey that ended in a horrible car accident that took the life of a friend. On this July Day in 1995, Casey was just 17 years old, ready to begin his senior year in high school, a promising future ahead. “Tragedy to Truth” is divided into two parts. Part one covers Casey’s life story from birth to his conversion, in which he details the events leading up to the accident, and the guilt and hopelessness that followed. Part two describes the hope that Casey found in many areas of his life through his tragedy. In the years since the accident Casey has traveled throughout the country openly sharing his testimony of God’s grace and power to save, while warning teens of the peril of driving and drinking. He presents an honest appraisal of the emotional roller coaster of his adolescent and teen years. He openly tells of his loneliness, insecurity and desperate search for affirmation, acceptance, and friendship. “Tragedy to Truth” is written from a pastor’s heart with a passion and burden to offer hope and peace to broken individuals who may think they are beyond forgiveness. He shares his own story, of how he has been redeemed by Jesus Christ through the unmerited grace of God’s love. Casey writes with a genuine concern for his reader. The probing thought provoking questions at the end of each chapter are evidence of his keen spiritual understanding. The questions are designed to stimulate personal reflection or small group discussion leading to an honest deliberation that will result in personal application, and life changing action. A dramatic and compelling story of redemption and healing. “Branding Pays” is highly endorsed by sales and marketing gurus, personal and team coaches, educators, corporate executives, and finance officers. I only wish I Karen Kang’s book was available five years ago when I begin to consider the process of reinventing my personal brand. Throughout the book Karen focuses on: The concept of personal branding, positioning opportunities, messaging, brand strategy, leverage, building your action plan, social media, and getting started. Karen carefully weaves a personal branding success story throughout the bookto illustrate the natural progression and sequence for effectively applying her Five Step Action Plan. The chapter summaries, action lists, brand improvement templates, and comprehensive index all add value to the lasting value of this must read manual on reinventing and building a successful career. Other important features include sample brand strategy platforms, leverage, and the Ecosystem Model. Karen is a pacesetter the field of personal branding. She is articulate, on the cutting edge, and gifted in the area of communication. “Branding Pays: The Five Step System to Reinvent Your Personal Brand” is destined to become the classic guidebook for reinventing a personal brand. Highly recommended. A routine flight on a cold winter night near Houston, Texas turned into what some might call a trick of fate. Larry Welch suddenly found himself facing a life and death crisis. In flight and miles from his destination the engine of Larry’s Lake Amphibian Seaplane failed. Suspense building action race across the pages of “The Miracle Landing” as split- second timing set a miracle into motion; the “invisible hand of God” parted the rush hour traffic on Houston’s Loop 610 to provide Larry a way of escape. Larry relates the story of his miracle landing as “a holy and divine moment,” a supernatural encounter. Just seven months earlier Larry had experience a miracle of another kind. Even as a child Larry had a tender heart toward things spiritual. This sensitivity continued through his high school and college years although he was not actively involved in church or any other religious activities. Rather than sensing accomplishment and purpose Larry felt a deep hollowness within, a void. Something was missing. This feeling led to a radical transformation – an encounter with Jesus that forever changed his destiny, a first step in his journey of faith. “The Miracle Landing” also looks into Larry’s career of 36 years as an airline pilot. In 2011, Larry faced yet another divine encounter which resulted in his taking an early retirement from American Airlines to respond to God’s “summons” to share the gospel of Christ through his story. Welch writes with sensitivity, a careful balance of scripture, instruction, and personal insights. A unique story, well-written, highly recommended. “What If…You Joined Your Dreams with the Most Amazing God” is a compilation of stirring messages from eight Bethel Redding ministry leaders, designed to encourage and motivate today’s Christian women to move beyond their dreams and to allow God to empower them to live out their destiny as they fulfill God’s purpose. The pages are filled with practical illustrations common to everyday life; powerful prayers of release, affirmation, and confession; and Biblical examples to reinforce scriptural principles, exhortations, and promises. Stimulating “What If?” questions guide the reader in areas of healing and deliverance, obedience, spiritual authority, supernatural empowerment, and spiritual warfare. Fear, anger, mood disorders, forgiveness, and raising discerning kids are all put in perspective with setting priorities and finding God’s favor. Guidelines are submitted for establishing positive transparent relationships; and for living in peace, joy in the spirit, and righteousness. There is a consistency in content, a balance of inspiration, information and heartwarming stories to illustrate each thematic message. The writing is anointed, articulate, and authoritative. The material is adaptable for use in small groups, family discussion, or for individual application. “What If?” is for anyone looking for God’s best, while encountering His love, and fulfilling His purpose.